This is SilentMode, aka Mr Hand Over Them Gorillas, and here’s another review. 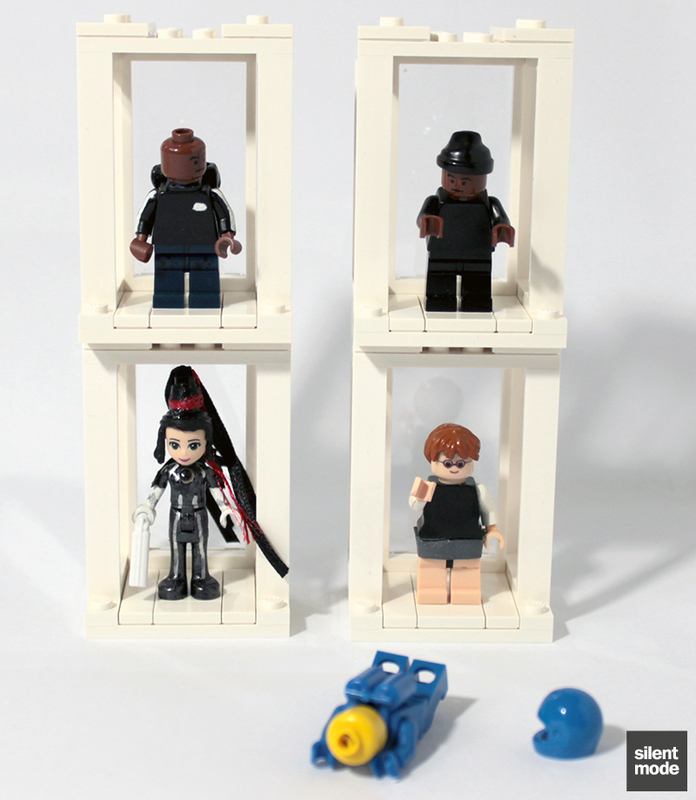 Build a mini display for 4 LEGO® minifigures! 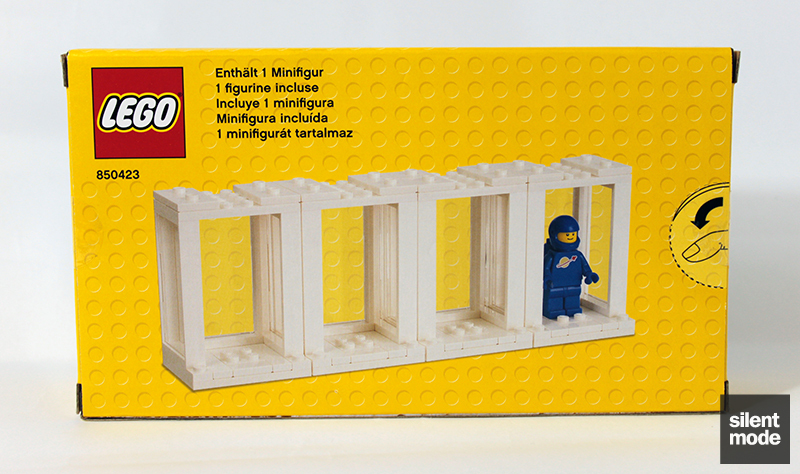 Display your favorite LEGO® minifigures than with this ionic set of 4 display boxes built from LEGO bricks. This 89-piece set includes 1 prebuilt box and building instructions for the rest. Also includes a minifigure ready to display! Makes a great gift for LEGO minifigure collectors. 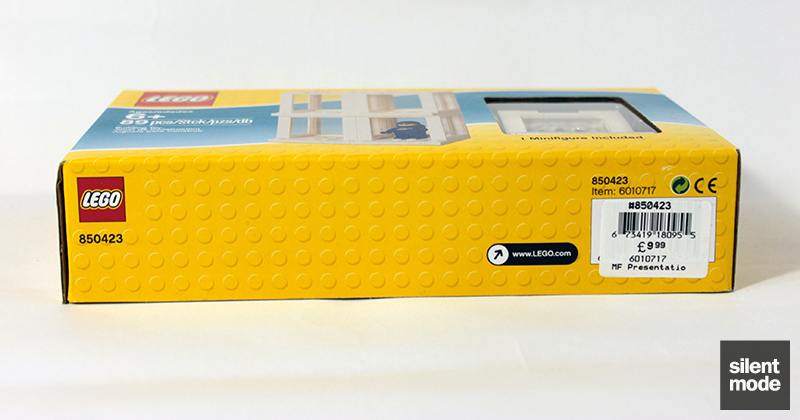 Display your minifigures in buildable boxes! Makes a great gift for LEGO minifigure collectors! I bought this set as part of my spending spree during today’s “AFOL Shopping Day” (or rather hour) at the LEGO store in Stratford. Having seen pictures of it beforehand on the web, I knew that the only way I’d purchase one was if I’d gotten a discount. The purpose of this review is to determine whether or not it was a wise choice, as – from the outset – many don’t think so. It appears that the first wave of Friends sets has started a new pricing trend for The LEGO Group: just charge the same number of pounds and Euros as the price in the States. Right now this works out at around a 40% increase before charges. As shown also on the front of the box, this set’s major selling point is the inclusion of a minifigure: a throwback to Classic Space. The box itself is very similar to the one for the Minifigure Wedding Favour Set, with a similar design and thick card compared to the usual packaging. One of the long sides has the barcode/price on it, and not much else. The other long side has a 1:1 scale picture of the minifigure (just in case you missed it at the front! ), along with a warning for all you China-phobes. Very interesting is that while the manufacturing takes place in Denmark, distribution is also handled by the States. 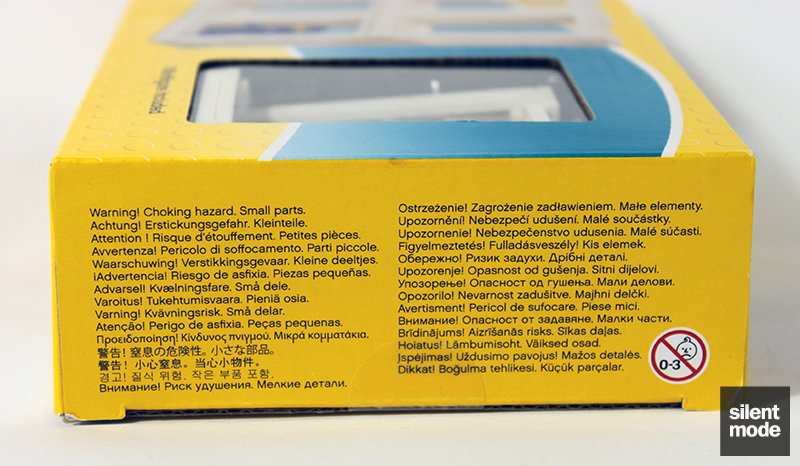 The short sides have the usual warning about choking on small parts, as well as a plain background (apart from the logo and set number). It makes sense, because everything we have to know about this set is shown on the front and back anyway. Just like the Minifigure Wedding Favour Set, there are essentially no frills. Apart from one of the display boxes that has been supplied built, all the brand new parts are stuffed into one bag (though not as tightly packed as the aforementioned set!). The instructions, folded into sixths, is as crisp as we’d expect. The first part is this, which forms the transparent window shown at the front of the box, and houses both the box and the figure. Take off the first part, and there’s a second part that sits between the sides of the box and the base. We’ll have to carefully remove the sides from the base to remove the plastic from the box. The plastic houses the main selling point of this set, the minifigure. The way it’s been packaged, you’d almost think this is an incredibly valuable figure, wouldn’t you? 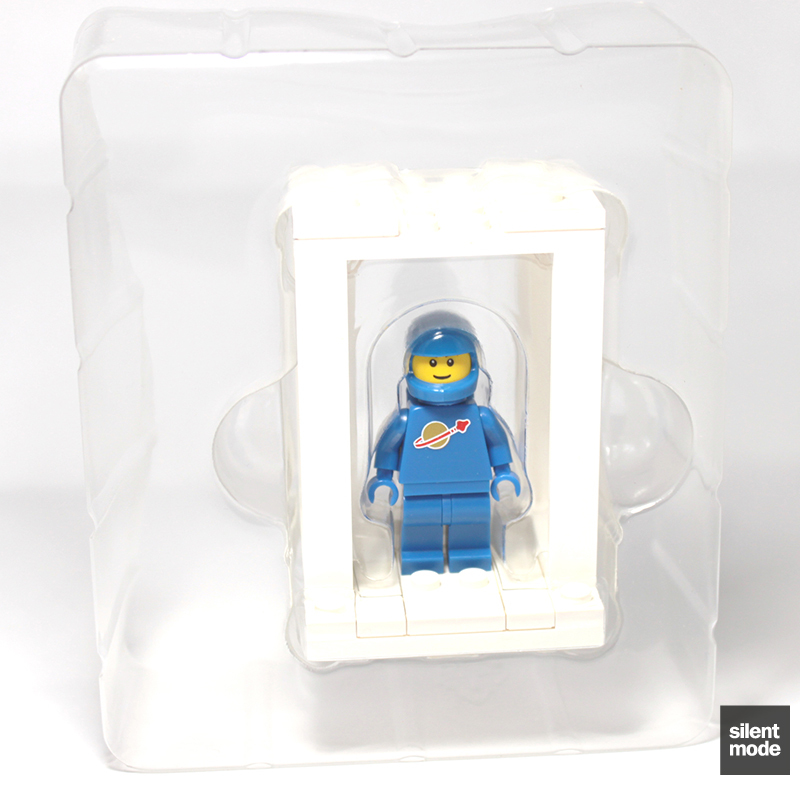 Well the figure, as mentioned before, is a tribute to one of the most (if not the most) iconic minifigures that ever existed, the Classic Space figure. 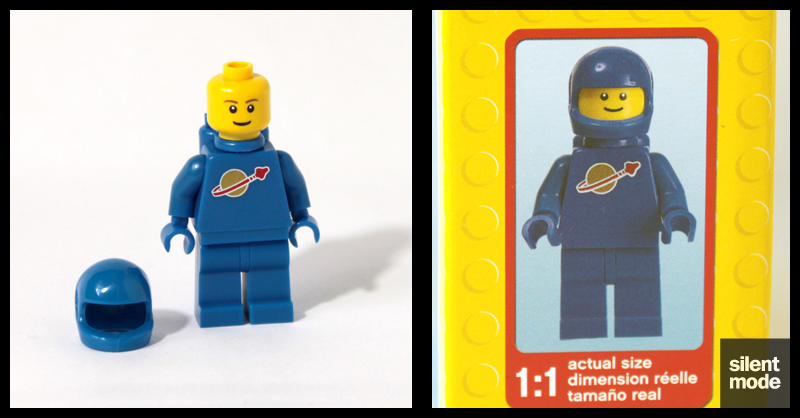 As it’s a new set, the classic helmet has obviously been replaced with a modern version, but the torso is virtually the same design as the original – although the Space logo is slightly larger (compare with this torso). 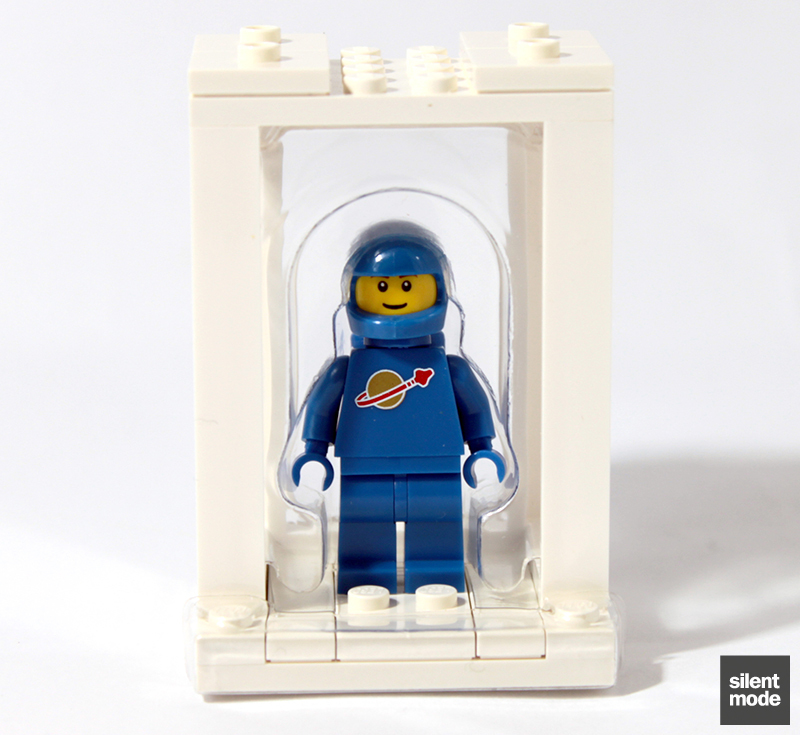 With five colours to choose from (the others being black, red, yellow and white), for whatever reason LEGO decided on blue – and that’s the only one available. One major thing I noticed on looking at the figure – and it may not be noticeable from the photo – is that the legs and torso are of a different shade than the helmet, oxygen tanks and hands. Yes folks, it looks like the curse of Chinese plastic. To add to the woes, I’ve just noticed a very noticeable join at the front bottom of the helmet. In terms of quality, that’s no good. 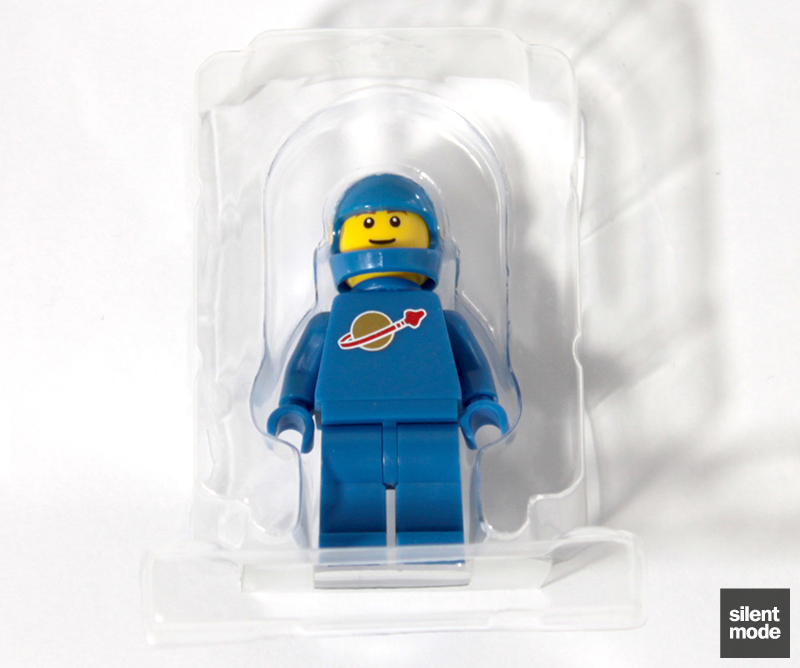 The included figure uses LEGO’s modern basic head with the eyebrows. However, the box clearly shows a version of the classic head (with pupils) with no eyebrows, which I think looks far better on the figure, even without considering that it’s a tribute to the classic. As probably the only Jubilee-related pun I’ll use today: I am not amused. As I’ve just finished shaking my head in disapproval, let’s move on to the parts selection. 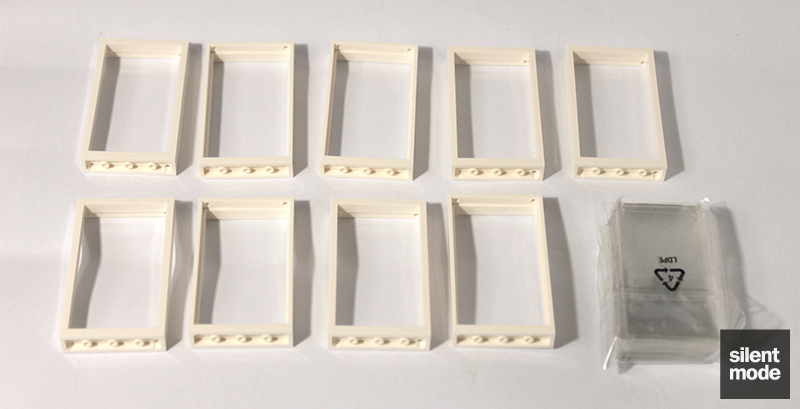 Bearing in mind that one of the display boxes comes pre-assembled (which will be unassembled in order to remove the packaged figure), the set contains a total of 12 of these 1x4x6 door frames, each with a “glass” piece. 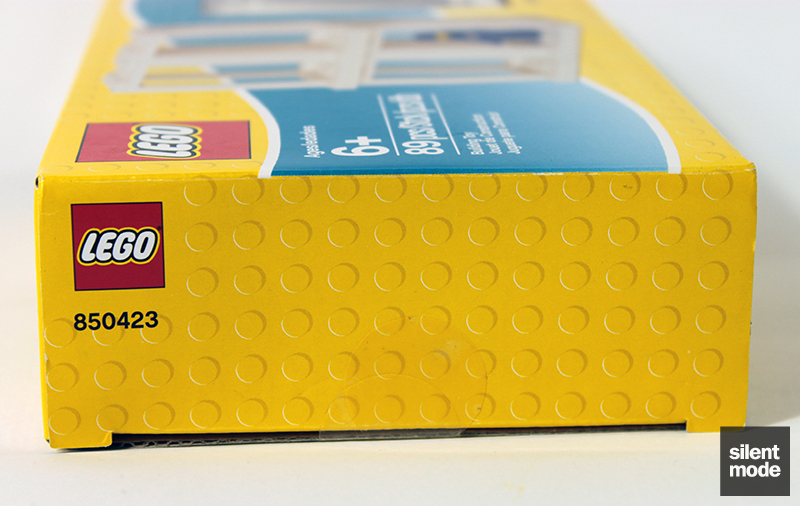 The remaining glass pieces are packaged in a small plastic bag to protect against scratches, which was a wise move on LEGO’s part. In terms of plates: we have these beautifully squeaky clean offerings, most of which form the bases. The 1-wide plates will probably be the most useful out of these for other exploits. But in my opinion, the most valuable of the parts in this set are the tiles (although the jumper plates are classified as modified plates). Who couldn’t use more 1×2 and 1×4 White tiles? 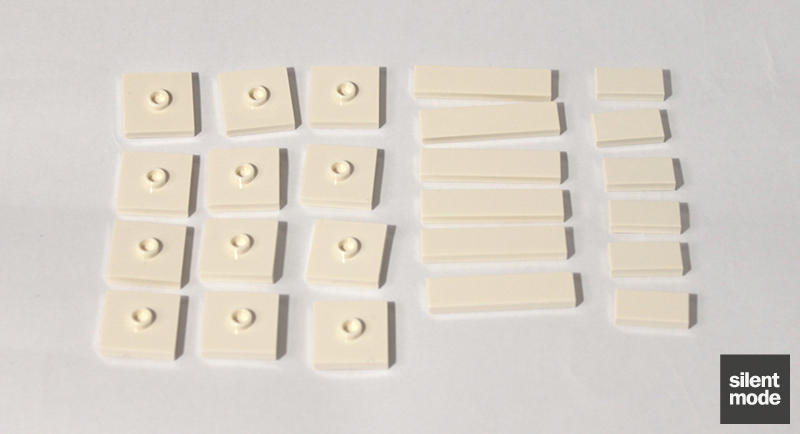 The 16 White 2×2 jumper plates – for me – are the highlight of this set. While it appears in 10 other official sets, this set has by far the highest quantity (twice as many as in this year’s City Alarm game). By the way, I’m pretty sure all of these parts (apart from the “glass” parts) are White, unless it’s some new variant I haven’t heard of. If they’re not, it may be time for me to retire. The instructions are incredibly brief, and like other sets with the same packaging there are no advertisements for other LEGO products. 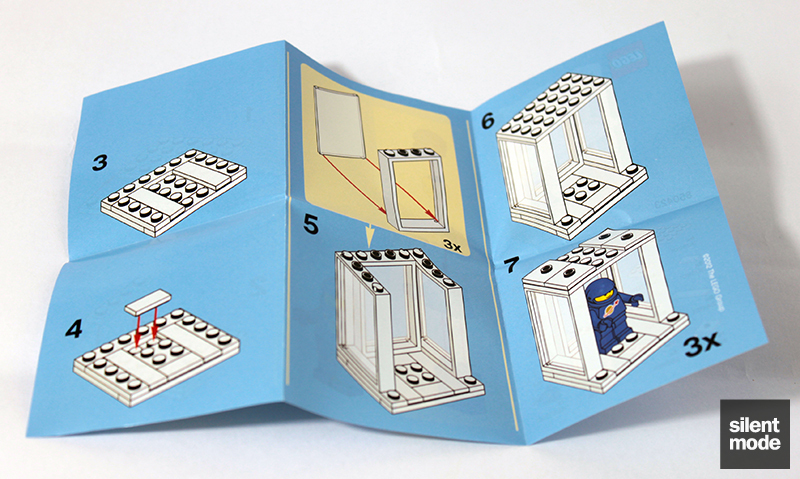 The instructions show you how to build one of the boxes, as demonstrated by the pre-built one that comes with the set. It really is very simple: just make sure you don’t lose any of those pieces. 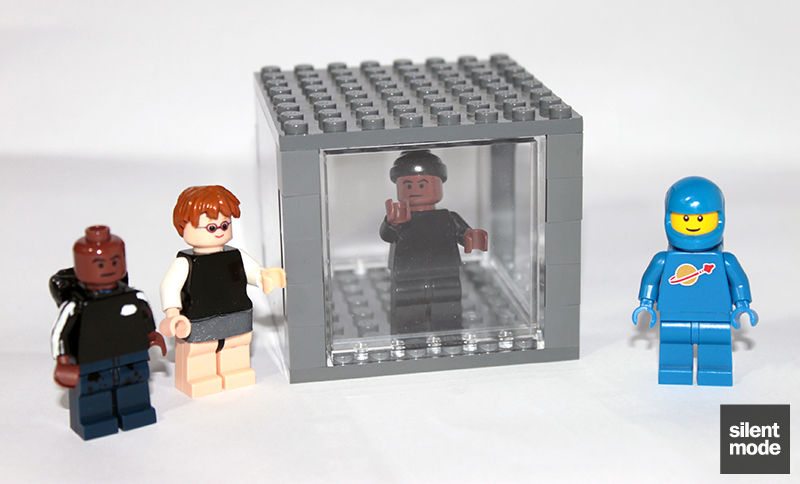 Congratulations, you’ve built your very own display box, just like the professionals. Now do it two more times. As is shown in all three cases, you have three walls with windows surrounding the base, and plenty of space at the front to place and show off your minifigures. The jumper plates on top of the box can be used to attach other boxes to form any kind of display you can think of. The only issue here is that, without a baseplate or some spare plates, it’s not possible to attach these horizontally. It really is that simple! Collect and build even more sets to build even bigger displays! Although a tiny bit fiddly, the jumper plates are fairly simple to fix on the underside of another box, and do a good job at holding the boxes in place, while making them easy to remove. It’s a technique I’d used in my custom version of LEGO’s calendar set. I’ve included this picture to demonstrate how one can show off their minifigures, whether custom or purist. As you can see there is ample room for your Friends minidoll collection, even ones with larger-than-usual hairpieces. To be honest, I’m not really sure why this set exists. There are already minifigure storage and display products (with and without LEGO branding) available, and most people who want a brick-built solution would invariably build their own, either of their own design or by following someone else’s instructions. I’m not sure what to make of the design of these minifigure display boxes. On the one hand, the set includes some very useful parts in White, as well as those elusive panes of glass which I so crave for my other projects. It’s also quite impressive that there isn’t a single brick used in the set. But as grateful as I am that these parts all come together in this one set, I don’t think I would have used them to build a displaying solution for minifigures. I wouldn’t have used these parts to build a display box, and put together they don’t look that great in the photos or up close and personal. By far the biggest crime is with the included figure. Now I wasn’t expecting an actual classic figure from the 1980s in this set (those will set you back around GBP 13.56 on average on BrickLink! ), and I suppose the issue of Chinese plastic – in terms of discolouration and quality – is something that has been around for a while now, particularly with the collectible minifigures. The issue is with the difference between the minifigure head shown on the box and the actual item – which sounds like I’m making a big deal over nothing, but if not addressed could lead to other issues in the future with chopping and changing. One of the set’s other strengths lie in a price comparison for all the parts with BrickLink and LEGO S@H’s Pick-A-Brick service. Take it for what it’s worth. Although they have the benefit of being able to hold minidolls, I just don't like the overall design of the display boxes. I suppose one's opinion of the design depends on their requirements for displaying/storing figures, but one major thing pointed out elsewhere was that there's not much dust protection. 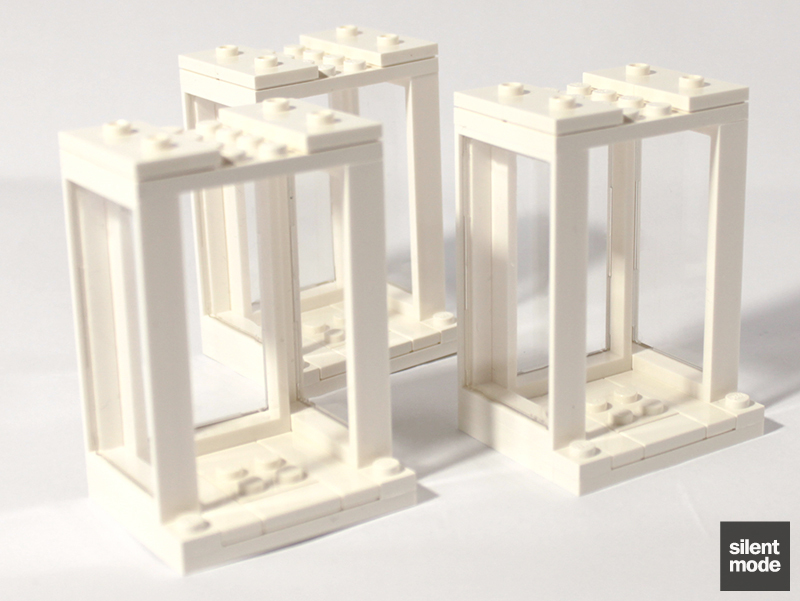 A simple build with only the smaller parts to look out for when constructing the boxes, as all the parts (apart from the glass) are White. 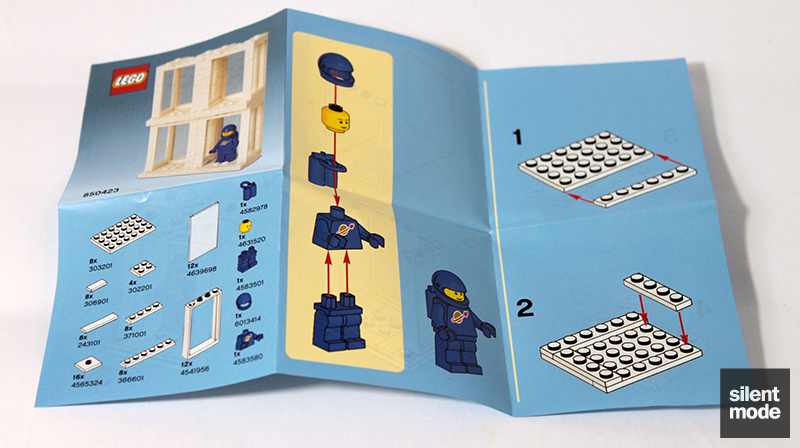 The minifigure comes pre-assembled, so nothing to worry about there. There are a number of very useful parts in this set, although I get the impression someone really badly wanted to use White versions of the collectible minifigure display tiles. The quality of the included figure (and the incorrect head!) lets things down a lot. By the way: there are no spares. Although not really intended for playability, the stacking options for these boxes are fairly limited on their own. 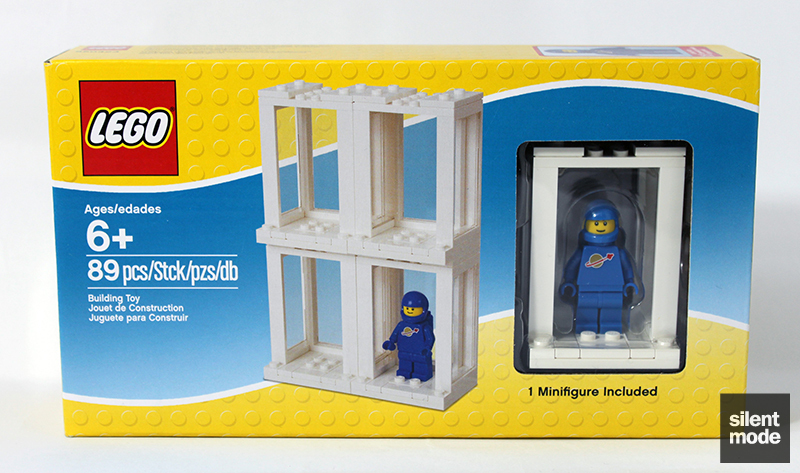 It works out cheaper to buy this set than the same parts separately from BrickLink or LEGO S@H, but would you use these parts to build a minifigure display solution? Not me. Based on these scores I’d give this set a 5.4/10 – maybe worth picking up if it’s discounted or for parts, but for a brick-built solution I would go for something else.